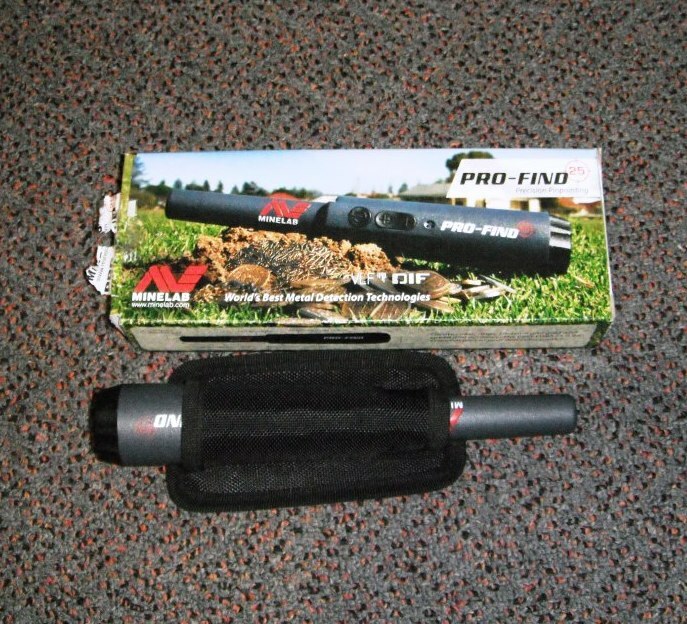 I had been thinking of getting a Minelab Profind 25 for a while to make to easier to locate finds. Minelab Pro Find 25. Worth every cent. I made the decission and bought one. So glad I did, what a difference it makes! After about 2 months though I started to have some problems with it. Just the light would turn on and nothing else. So I took it back to the miners Den and fully expecting they would send it back to Minelab for repairs. Nope they swapped it there and then for a new one off the shelf. You can’t ask for a better warrantee than that!! since then I have had no issues at all with the net Pro Find. Saves heaps of time. Highly recommend anyone purchasing one.